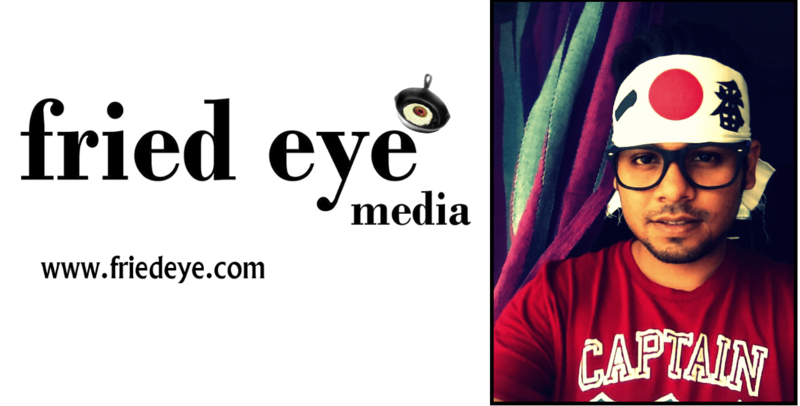 Fried Eye magazine guest reviewer Victor Mukherjee, took some time out to review IndiEarth artists. On a low – spirited rainy day if you want something that will boost your energy, this is the song for you, building up with each minute with the occasional guitar solo in between, this song reminds me of ‘Simple Plan’. The break before the crescendo also makes it damn interesting. Very good track. In this rendition of Kabir’s ‘Guru Bin’, the melodious classical voice of Gayatri Asokan works wonders. The idea of keeping it unplugged and simple takes it to a different level. The song attracted me in the beginning with the simple guitar and the hearty voice. A little usage of jazz instruments could have made it a great blues song. In the first antara, the lines though didn’t go well with the meter, but who cares, its Kabir at the end of the day. Third eye is a great track especially for the fusion lounge listeners. It starts with what I feel is a ‘Ghattam’ and then goes to the electro zone. The incorporation of distorted Sitar is also brilliant. Loved the progression of the music. If you have a string instrument as the heart of a song, it’s surely going to strike a chord in your emotions. ‘Harder the heart’ does exactly the same with Kartick making his violin gently flow throughout the song. The starting of the song is very catchy with the Hindustani classical bols, which builds the premise for the song. The only tiny issue, that I have with the song is, after building such a great premise and building it up till the end; from 4:00 onwards, it could have built a better crescendo and, figuratively not leave us in ‘isolation’ in the end. The song might be named simple but not at all a simple composition. Especially the brilliant tempo change at 3:00 and the ending, which uses a great buildup. The usage of rock guitar rhythms in between held the song intact. The important part is also the lyrics support the music. Fried Eye, to put it very simply, is a variety feature magazine. As the name suggests, we behind Fried Eye believe life can never be understood through a monochromatic lens. Life needs appreciation, exploration and even criticism through a variety of perspectives- sometimes simple, sometimes sublime, sometimes twisted, sometimes fried. Fried Eye is a platform for such experimentation with the multidimensional slices of life – through the mixed – combo of photography, dialogues and expositions. A lyricist at heart, dialogue writer at head, a visualizer in mind and a director – producer by profession, Victor produced two seasons of Coke Studio India and MTV Unplugged India. As a freelance lyricist, he has some jingles and songs under his belt including some for Shaan and Kailash Kher. A part time professor, he spends much of his time listening to and analyzing music from India and around the world. Visit www.friedeye.com for more scoop on the magazine.